Red Hens by THREEBEARSPRINTS featured on a Roostery Maran slipper chair. Yes… we are aware of the anatomical differences between hens and roosters but these gals are still pretty swell. 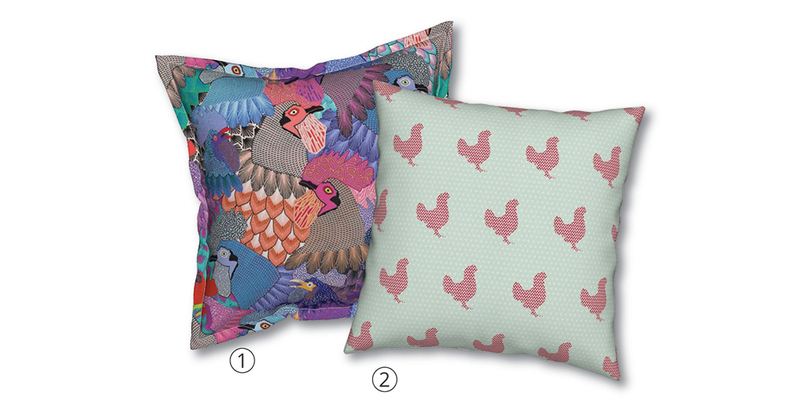 Add character and whimsy to your space with the perfect room refresher, pillows! The Serama features a lovely ½” flange detail around the outer edge and a subtle hidden zipper these pillows bring a chic and sophisticated splash of color and personality to your space. Each pillow comes with an overstuffed poly/cotton blend insert and features a ½” flange detail with white top stitching and a hidden zipper. Your selected design will be featured on the front and back of pillow. A time worn classic, the Catalan 18″ x 18″ throw pillow (shown below) is perfect for both bedding and seating arrangements. The Catalan pillow features a crisp knife edge finish and a discreet hidden zipper. 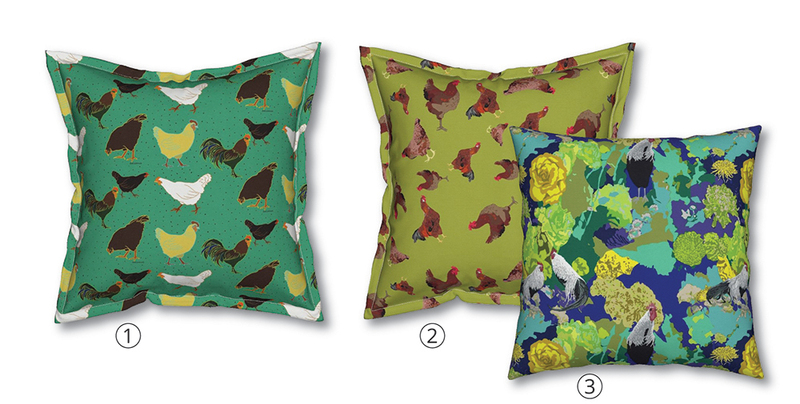 Each pillow comes with an overstuffed poly/cotton blend insert, but can also be purchased without the insert. 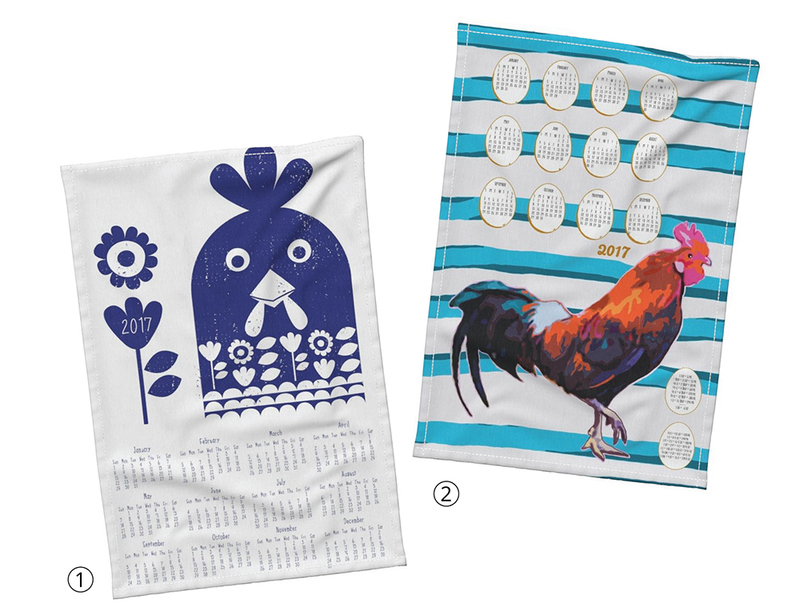 Roostery’s Orpington tea towels are the workhorse of the kitchen, whether you use them for lint-free dish drying or keeping hands dry, rooster-themed tea towels would definitely bring a rustic country-kitchen vibe to your space. These 16” x 24” towels feature a folded hem, white top stitching, and a subtle white hang tab on the back. Made with natural Linen Cotton Canvas, they will soften and become more absorbent with use. 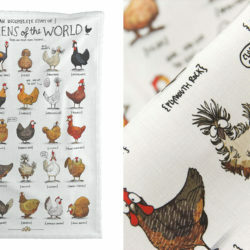 Orpington tea towels shown here by Threebearsprint and Taraput Did you know that all Roostery product names are based off different breeds of chickens? 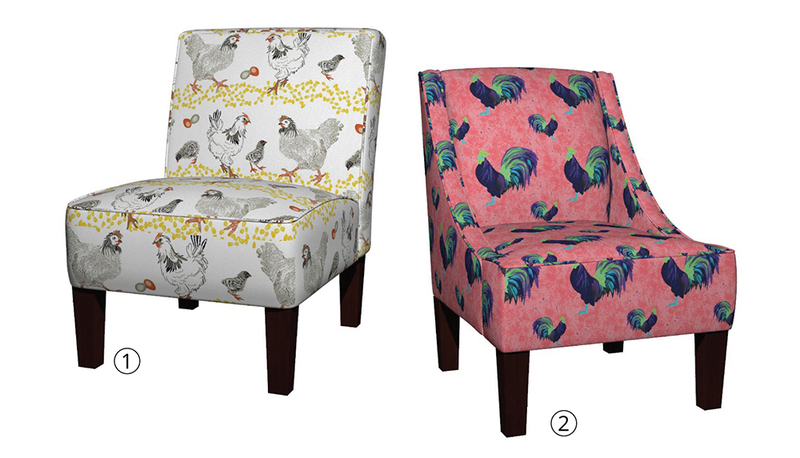 The newest addition to the Roostery product lineup are these elegant upholstered chairs. 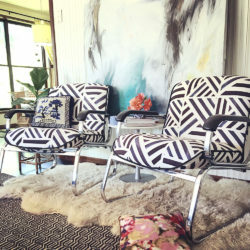 The Venda is a unique customizable occasional chair that serves as a refined accent piece in a formal living room or the kids play area. When arranged in a set of two, they create a delightful little seating alcove. The Venda features slim swooped arms and welted detail along the arms and seat. Handmade in the USA featuring a premium quality wood pine frame. The Maran is a contemporary and comfy armless slipper chair. 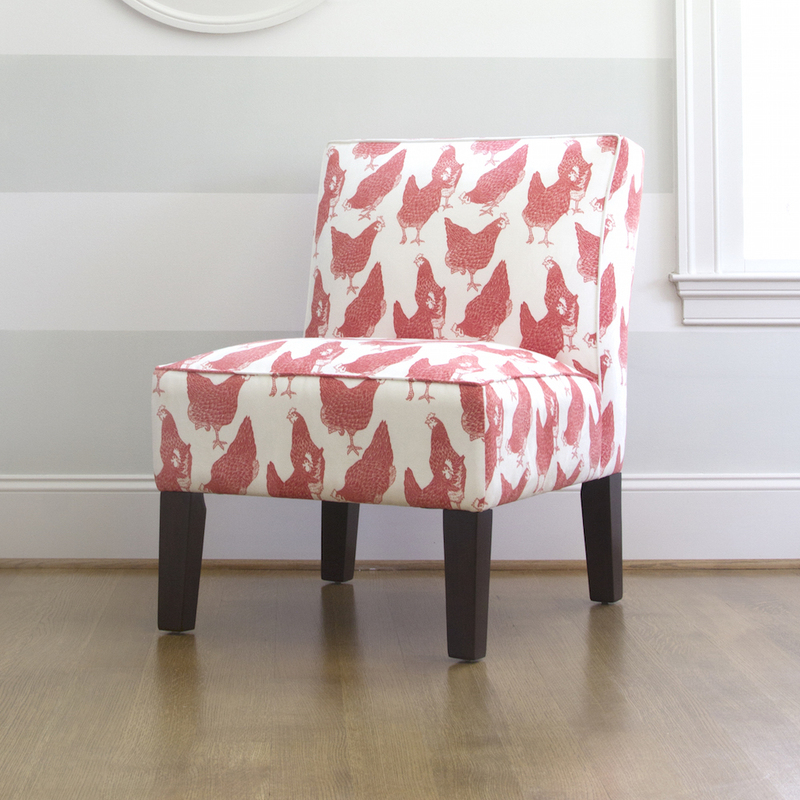 It’s perfect in a reading nook, as a set of two in the living room, or an accent chair in the bedroom. With simple clean lines, welted detail, and generous fill in the seat and back, this slipper chair is both beautiful and comfortable. Handmade in the USA. 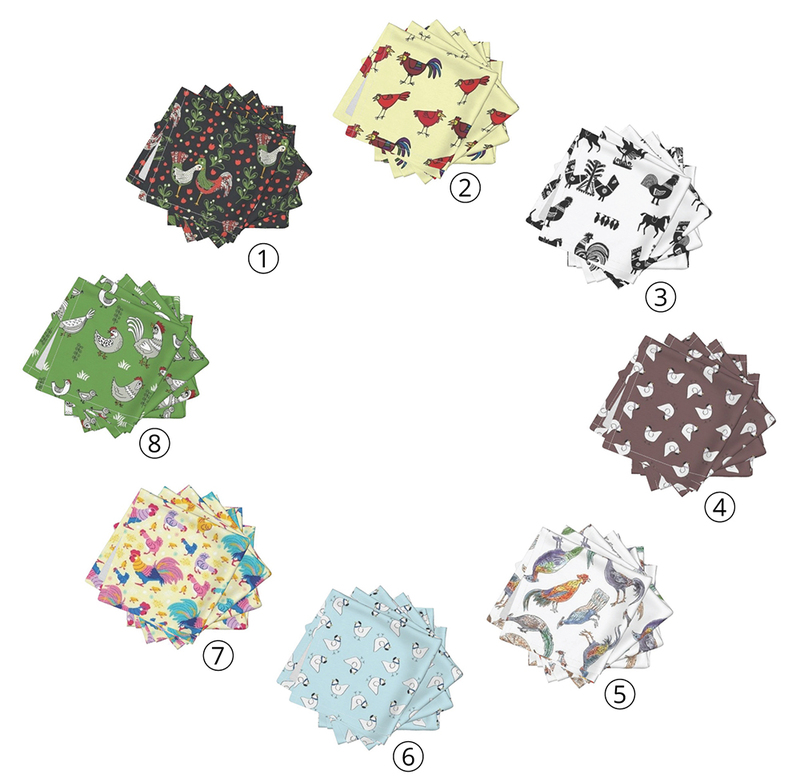 These adorable cocktail napkins are a great way to bring a pop of color and character to parties and get-togethers. When folded, they also serve as great casual coasters. 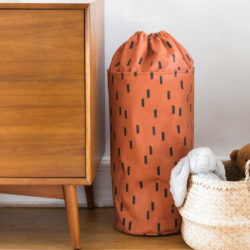 At under $30, we couldn’t think of a better housewarming gift! Available in two finishes; a durable linen-cotton blend or a soft, lightweight 100% organic cotton sateen. Each napkin features a folded hem and white top stitching. 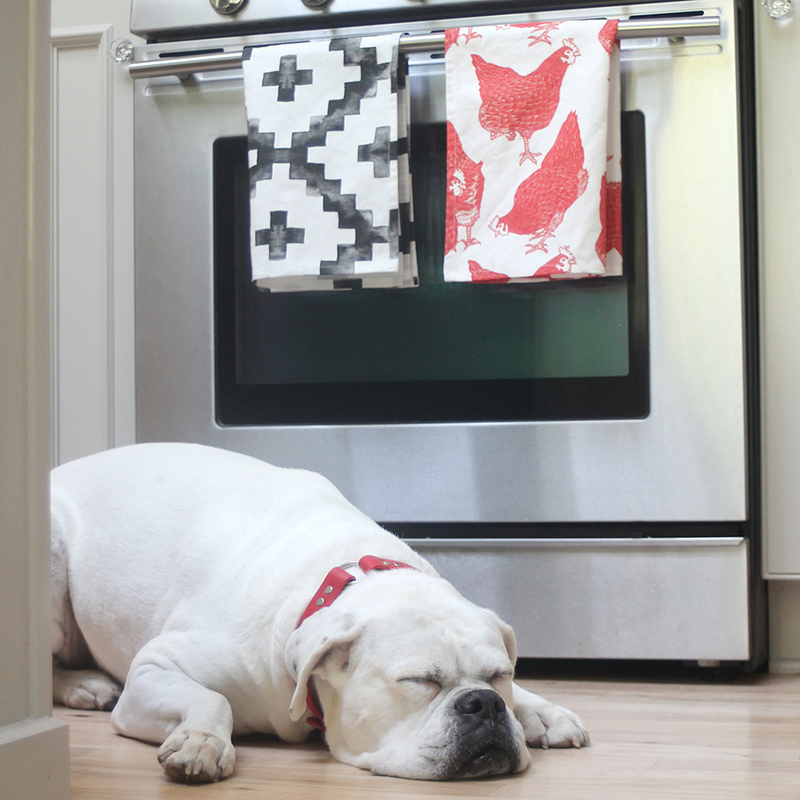 Have you heard about the new and improved collections on Spoonflower? 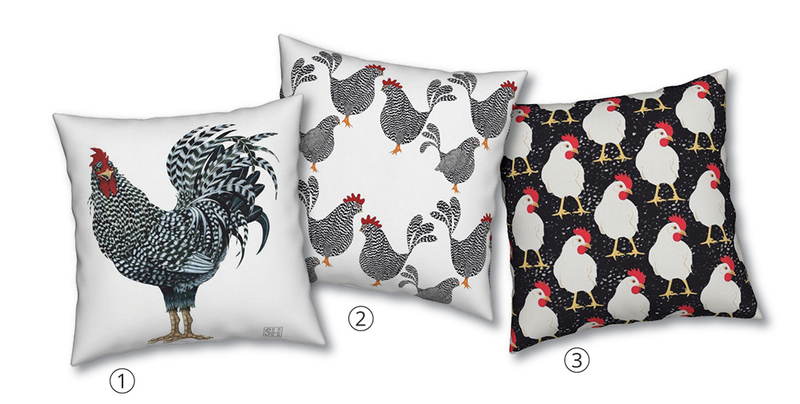 Play around with this new feature and start your very own “Year of the Rooster” collection. 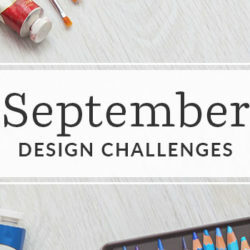 You can now add designs to more than one collection at a time, create curated “boards” featuring your own designs and designs from the marketplace. Check out the short video below to see how it works. Happy Lunar Year to you too! Amazing products by the way!